Each year, the Babcock Center produces the official ornament for the City of Columbia. This year, the organization features Historic Columbia Foundation&apos;s Robert Mills House and Gardens for its 2012 ornament. 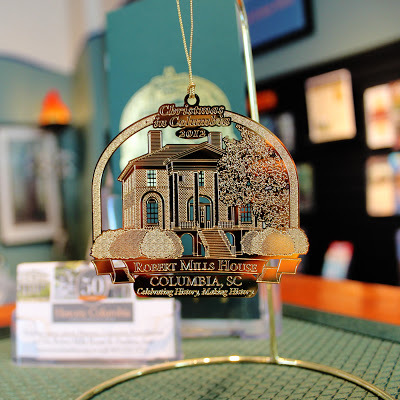 Today&apos;s Travel Tuesday Trivia (below) is all about this signature Columbia, SC ornament. Before we get to the trivia -- history lesson! Charleston-born Robert Mills was the first American-born architect. Mills served as an apprentice to John Hoban, the architect of the White House. If you haven&apos;t seen Robert Mills&apos; architecture in person, you&apos;ve certainly seen it on TV and elsewhere - he designed the Washington Monument. The 2012 "Christmas in Columbia" Babcock Ornament is available at Columbia Regional Visitors Center, located on the upper level of Columbia Metropolitan Convention Center, for $13.50. 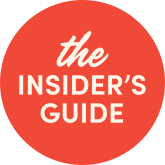 Proceeds go to the Babcock Center, an organization committed to helping individuals with mental and physical disabilities achieve independence and a better quality of life. What Columbia, SC icon was featured on the first official "Christmas in Columbia" Babcock Ornament? Give us your best shot at this. Answer correctly in a comment below, and we&apos;ll send you a &apos;famously hot&apos; prize!